As celebrations over Osama bin Laden's death wind down, a starker reality is emerging: the terrorist bogeyman succeeded in destroying key American values, not to mention our economy and global influence. At long last, Osama is dead. The U.S. has finally found and killed an enemy commander who was devoted to destroying my country. Although I oppose the death penalty and feel passionately about the rule of law, about this I have no ambivalence: killing bin Laden was entirely justified. And yet to my surprise, Bin Laden's death left me deeply sad. It has taken me until now to fully understand why: I feel profoundly grieved for my country. Had his death come nine years ago, perhaps I'd feel as relieved and even celebratory as many others. But in the ten years it took to find and kill him, bin Laden won. The attack on the World Trade Center's towers (and on the Pentagon, that breathtaking parenthesis) was a brilliant act of jujitsu. Osama turned all our own strengths against us, and then let us destroy ourselves to bring him down. At the simplest level, I feared this response within an hour of seeing the second plane hit the World Trade Center. In the eerie silence of that bright blue day—no planes, no traffic, nothing but the television's roll of inconceivable images and our own numb grief—I knew that no president could resist the demand to bomb some country to rubble. The U.S. would over-respond, with our full military might. War would bleed us dry. We would spend our way into poverty. We would begin our decline as a world power. Here's my hope: having spent more than a trillion dollars to swat this gnat, having abandoned core American values in a decade of madness, may we at last come back to our senses. What takes my breath away is how much more fully this has come true than many of us imagined possible. We all know the basic contrasts between then and now. In 2001, the U.S. was at peace. The federal government was running annual surpluses, paying down our national debt, and bringing some stability to the economy. In 2011, the U.S. is in three wars. Since 9/11, Congress has approved a mind-warping total of $1.283 trillion dollars [PDF] for military and associated "war on terror" costs, as Ezra Klein so clearly laid out in a recent Washington Post column—spending us into trillion-dollar deficits. We are rotating troops through three and four tours of duty, scarring their bodies and psyches. Lives around the world have been brutally disrupted by war: thousands of dead civilians, tens of thousands of displaced people like my Iraqi friend Huda Ahmed, who reported on the war for U.S. newspapers and had to flee—leaving her family behind—after her name went on a death list. The U.S. invaded Iraq, not bin Laden. The U.S. was like the fabled man who lost his keys in a yard and went searching for them under a distant streetlight, where the light was better. One can argue that going into Afghanistan, and even Pakistan's border regions, was necessary. But Bush dragged us into Iraq because it was a problem he liked better. The U.S. went further: we bankrupted ourselves morally. Extraordinary rendition. Black sites. Indefinite detention. Abu Ghraib. Guantanamo. The U.S. once stood for—however imperfectly—freedom, democracy, and justice, for standards of fairness and legality. No more. Our financial stature, our military power, our sense of personal freedom, our moral authority—all flushed away, not by bin Laden, but by our government. In 2009, while attending a journalism conference in Philadelphia, I watched ABC news reporter Ann Compton interview a panel of some of those most responsible for post-9/11 policies: Andrew Card, Michael Chertoff, Douglas Feith, Timothy Flanigan, Ari Fleischer. Torture-memo lawyer John Yoo was in the audience. When Compton and the panel were done recounting their memories of the first 24 hours after the attacks, journalists in the audience peppered them with questions that boiled down to this: Why were they confident that they could unilaterally, with no judicial or international oversight, do whatever they wanted to those they said (without showing evidence) were our enemies—throwing off both the habeas corpus protections of the U.S. Constitution and the Geneva Conventions' rules for wartime detention and interrogation? One Afghani reporter asked a still more pointed question: How do you think the U.S. should rebuild the Afghanistan you destroyed? One after another, their answers were variations on this: Our boss told us that the 9/11 attacks must never happen again. Period. Feith summed up this attitude—protect our country and damn the consequences to anyone else—when he looked the Afghani journalist squarely in the eyes and said, shocking his audience: We achieved our goal. We teach our children: If someone treats you like a beast, don't respond by becoming a beast yourself. If you do, they have won. They have harmed you not just from the outside in, but from the inside out. The U.S. has always been several countries at once, as you'd expect from a polyglot nation of 350 million people from wildly varying backgrounds. Sometimes the worst of our nature has been in charge: think Plessy v. Ferguson, Jim Crow, Korematsu v. United States. Sometimes, our best: the Statue of Liberty welcoming all refugees from poverty and oppression, the Nuremberg trials, the Civil Rights Movement. That latter part is the country I have wanted back for the past decade. Here's my hope: having spent more than a trillion dollars to swat this gnat, having abandoned core American values in a decade of madness, may we at last come back to our senses. After World War II, the Japanese internment camps' barbed wire came down, and the anti-Semitic and anti-immigrant barriers that encircled colleges and jobs were dismantled. We wove a broad social safety net (funded by progressive taxes and a sense of financial modesty among our CEOs) that led us to the peak of world power. Of course, the economics and politics of the two eras couldn't be more different. Some social scientists would argue that U.S. post-war prosperity—which depended in part on the fact that potential economic competitors around the world had destroyed themselves in war—led to this expansiveness. We have the opposite situation today: many competitors, a multi-polar world, and our own struggling economy. But I hope there's more behind Americans' best selves than just economics. Now that bin Laden is at last dead—both the man himself, and the bogeyman he became—what will it take to rebuild our values, our economy, and our moral stature once again? E.J. 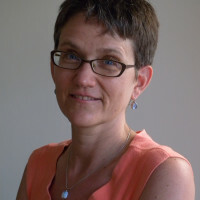 Graff is a journalist, author, and resident scholar at the Brandeis Women's Studies Research Center.